Not exactly a recipe as such, or hard to create for that matter, but this is what I was making for my lunches last week. After picking up a similar version in Tesco for the best part of £3, I figured this was something I could so easily make myself! I picked up wraps (the 'healthy' ones which are actually just really small hence fewer calories), red pepper humous (again from Sainsburys 'be good to yourself' range), falafel mix, and a lettuce. All the ingredients cost just £4.35 in total, and the falafel mix was on special offer so I bought two packs. It's super easy to make - add water, form into balls and fry. 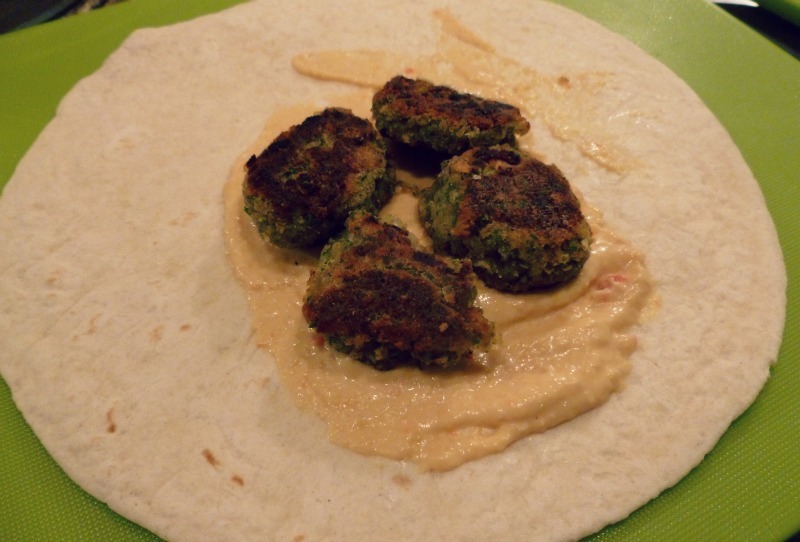 I find it tends to be nicer than the ready made falafel. I got a working-weeks worth of lunches from this so is definitely worth spending a little bit more in the first instance. How to? Simple. 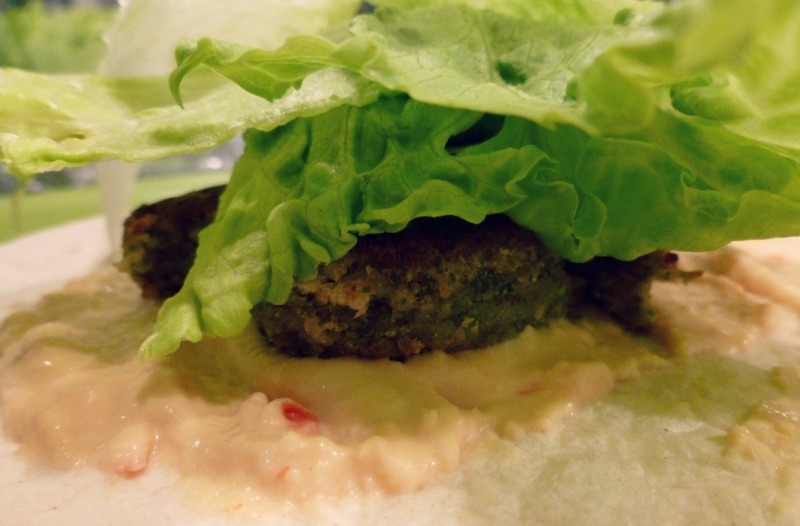 Spread some humous on your wrap, place falafels and cover in lettuce. Fold up the bottom first, then the two sides in on each other. Wrap in tin foil tightly to keep its shape! 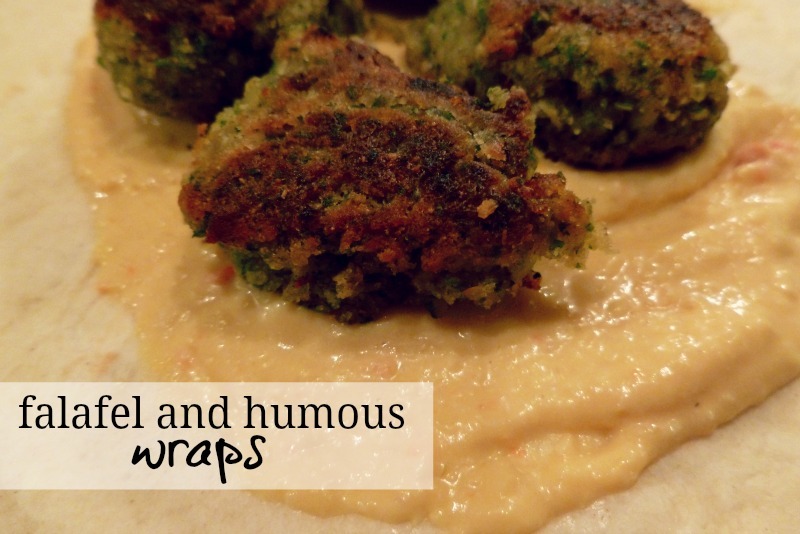 This sounds amazing, I love falafel and hoummous! You can make them on a Sunday and store in the fridge- they'd last a few days for packed lunches x x x x x yum yum yum. I'm going to make some tomorrow.